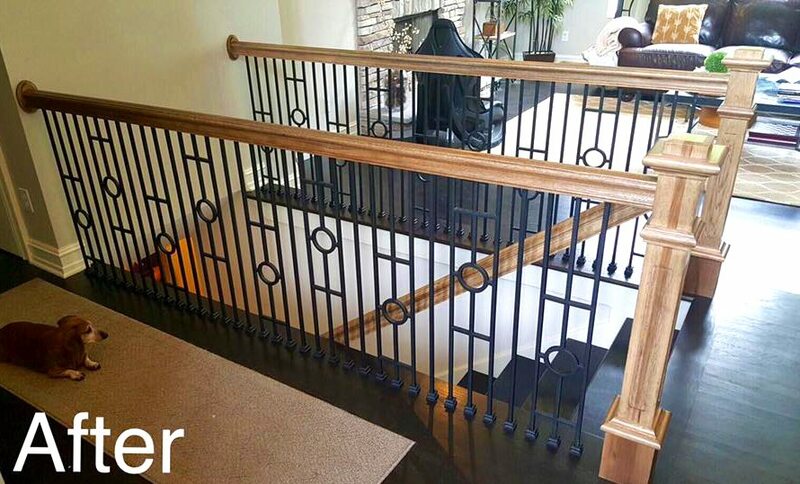 This project highlights the triple bar iron baluster, a 1/2″ square baluster that is part of the designer series. 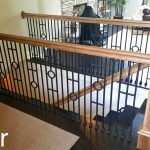 This wrought iron baluster is a triple bar with a single round section in the center. 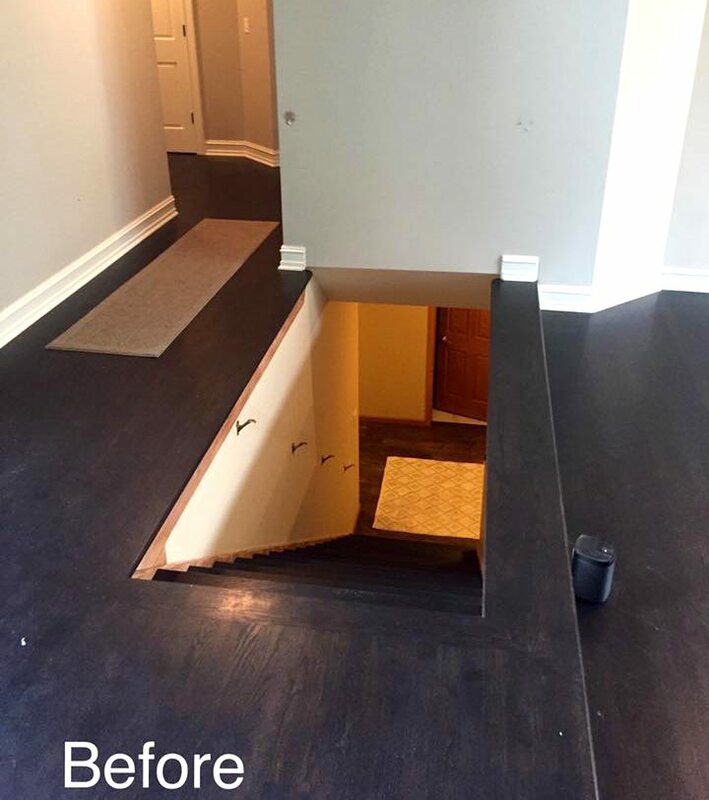 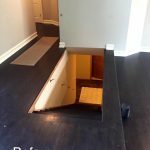 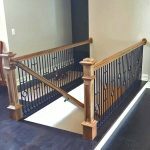 In these photos, you can see that this baluster blends in perfectly with the plain straight baluster. 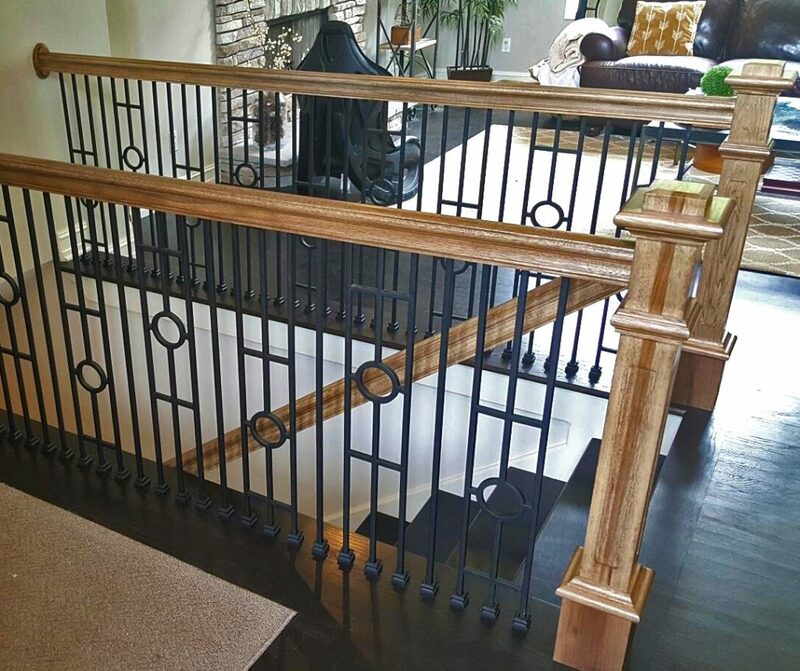 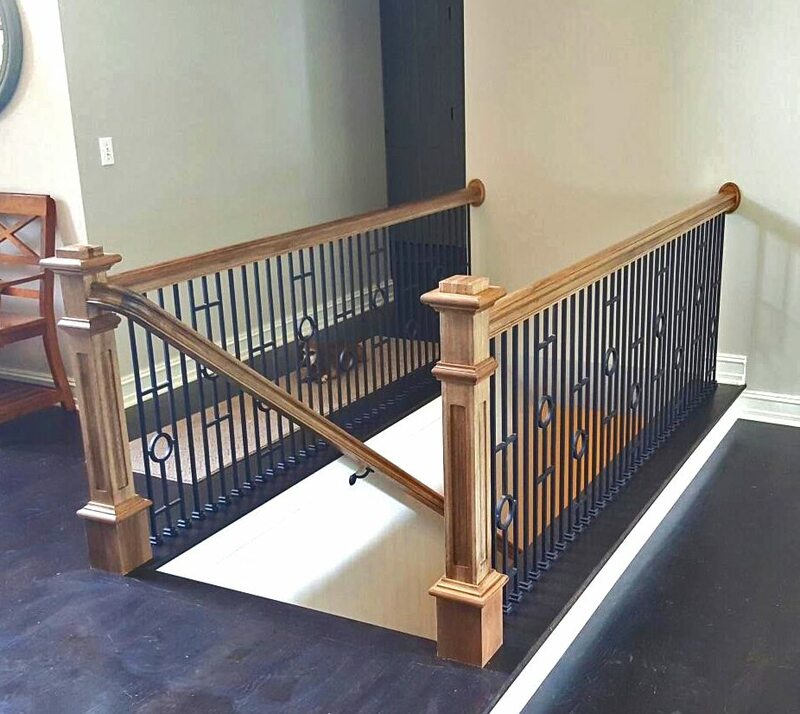 All of the wrought iron balusters serve as great accent pieces to the stunning box newels and the rest of the wood stair railing.